This website is designed to help the citizens and taxpayers of Cheyenne County, Colorado access property value information online. The County Assessor is a constitutional officer, elected for a four-year term. The constitutional duty of the Assessor's office is to discover, list, classify and value all real and personal property in Cheyenne County for property tax purposes as directed by state laws. The Assessor's Office is also responsible for maintaining public records, including ownership and parcel maps. We also submit the Abstract of Assessment to the Colorado Division of Property Taxation, as well as certify values to taxing entities and produce the warrant and tax roll for the County Treasurer for collection. 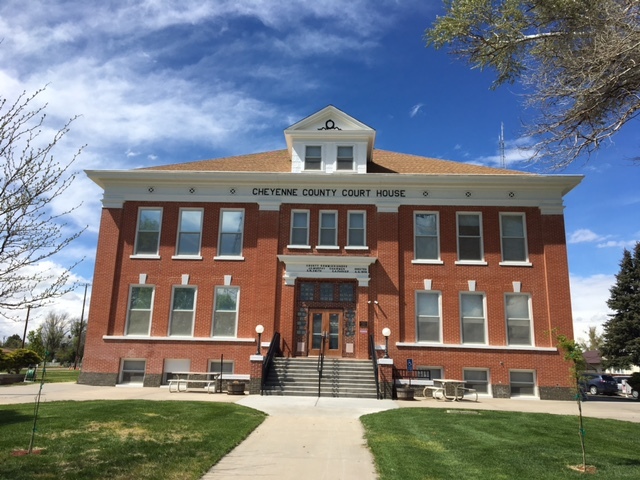 The mission of the Cheyenne County Assessor's office is to accurately value all property in Cheyenne County while following the laws and statutes of Colorado, using efficient and effective technology, and providing exceptional customer service. We strive to promote equalization of property values to ensure all property owners share their appropriate portion of the property tax burden fairly and equitably. Please feel free to come by or contact our office if we can be of further assistance. . In order to view some of these documents you must have Adobe Acrobat Reader on your computer. To get your free copy of Acrobat Reader, click the button below. Access to on-line mineral card information. Contact the Assessor at the above address, phone, or e-mail address. Sales are updated on a monthly basis. Click on the Sales file you wish to research.